Before we get our hands dirty, here’s a word of warning. If you’re wondering how to reboot a MacBook Pro, bear in mind it’s the last resort when all other methods to unfreeze your Mac had failed. Don’t try it too often as it may harm your system. No question, your Mac can handle rapid power losses and your hardware most likely won’t be hurt. What’s at risk though, is your data because each time you force reboot a Mac it affects the consistency of the file system. Now that you’ve been warned, let’s go. Before you force restart a Mac, it’s always recommended to first try a software solution. The simplest method: hold down the Power button till your Mac shuts down. Press the button again to restart it. Hold down Control + Command while pressing the Power button. 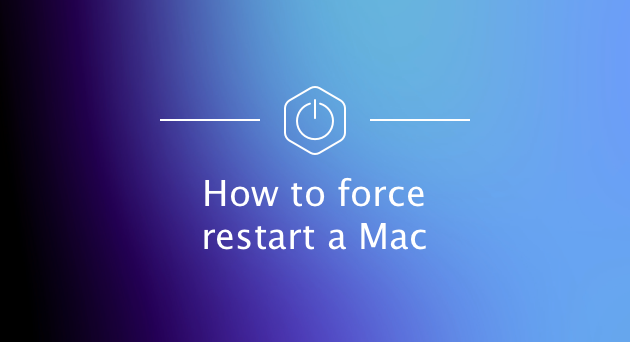 This is an alternative key combination to force restart a Mac. By the way, if you are on an iMac, the Power button is found on the back of your Mac. Voila! Is Shut Down any different from Restart? The difference between Shut Down and Restart is quite self-explanatory. 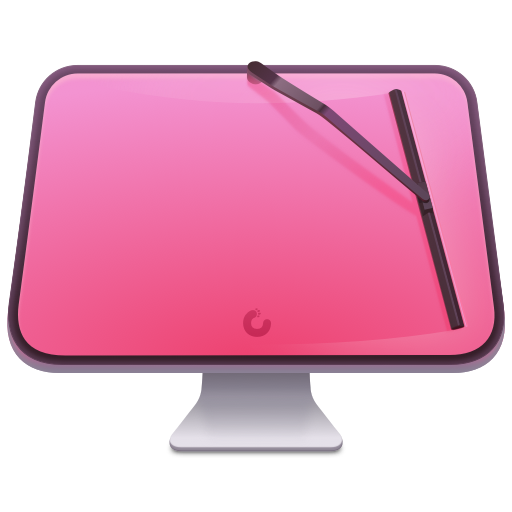 When you perform a restart, your Mac will turn on again loading its previously active apps. As for shut down, your Mac won’t start until you press the Power button again. Interestingly, all new Macs have an automatic reboot feature built-in. So even if you sit and do nothing, your frozen Mac would eventually reboot by itself, though it takes a bit of patience. If you need to force shut down a MacBook Pro or MacBook Air, all you need is again to press a Power button on your Mac’s keyboard. If you don’t want to reload the baggage of your previously opened apps, tick off “Reopen windows when logging back in”. We do recommend you to deselect this option when your Mac is slow in order to lighten the weight on your RAM. Hold the button until the Mac shuts down. Needless to say that when you force restart a Mac all your unsaved projects may be lost. It’s unfair, we know. Why does my Mac keep freezing? The obvious explanation is your Mac lacks memory. Or to put another way, there are too many active processes running on your Mac. First off, go to Activity Monitor to check your memory usage. Now, look into how heavily your Memory is loaded. Quit apps that eat up too much memory for no reason. While this may work as a temporary solution, it doesn’t stop your Mac from freezing up again. You can either force reboot your Mac each time or opt for a radical solution. Below are a few more ideas you can try. Shut down your Mac and reboot while pressing D key. Within the menu that appears, launch the Apple Diagnostics tool. This will check your Mac’s drive for errors. From then, follow the prompts to finish the diagnostics. Remove old unused apps, system junk, and pervasive browser extensions. 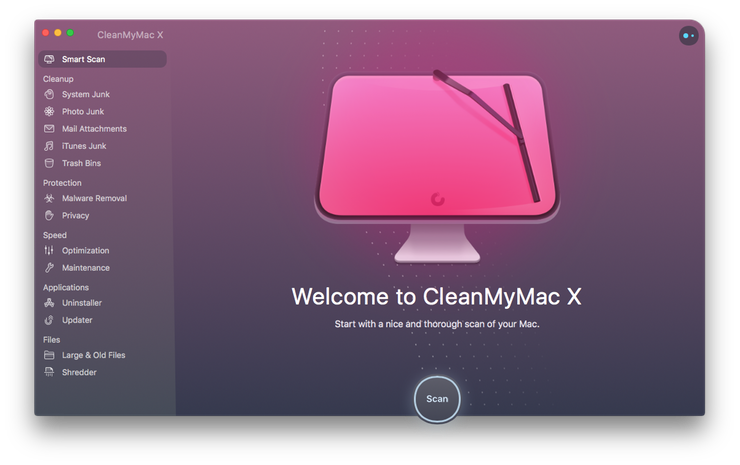 For this purpose, try running CleanMyMac application on your Mac. It’s quite effective in removing all junk from your Mac and has a number of helpful utilities, like RAM free up or app uninstaller. Download it for free here . This is the most radical of all methods, that’s why it’s so effective. Hope this guide has helped you. Before you force shut down this article, feel free to share it, using the social buttons below. Cheers! How to remove backups from Mac and iCloud?